Coming up with a name for your Game can be a hard decision. It is something that will be attached to your project forever, and can make a massive impact on how the game is perceived. In this post I’ll look at some of the processes I went through when deciding to call our game Abandon Ship. What are the starting Criteria? It is good practice to work out the criteria for a name and how it applies to you. There will always be exceptions to these rules, but there are some common traits. 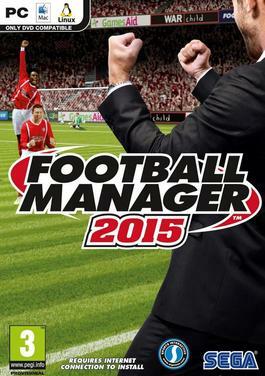 While this can make some titles quite long, including the name of the IP engages the fans of the license. If your game is based on an existing Intellectual Property then it makes sense to leverage that by including the name of the license. In some cases this is followed by a colon and a unique sub-title that identifies your game. It should be expected that the owner of the Intellectual Property will have final sign-off on the title. For sequels, names tend to either append an ever increasing number onto the existing title, or add a sub-title (in some cases they do both). Similarly to games based on existing IP, some rules have already been established that need to be adhered to. I’m not spending too much time on these types of games because I’m assuming that like us, you are making an original title with no restrictions to existing licenses. This is good because you have a large degree of freedom, but can be difficult because coming up with a strong name is an important step in creating the identity of your game and hooking people in upon their first contact. So with so much choice, where do you start? 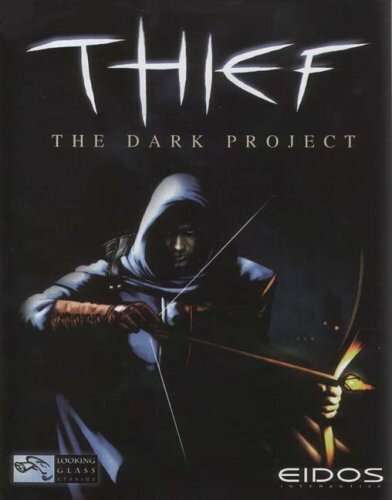 I wonder what you do in a game called Thief? Understanding what makes a name strong is important as it starts to help formulate some rules in your mind. Looking at other games or films and working out why a name is good or bad can be helpful. Compelling names give people a great idea of what the game is about, or what they will be doing in it. Importantly, a name shouldn’t ‘turn-off’ people or be a barrier of entry for potential fans. The following are common elements that appear in a lot of well-named games, with some personal examples I feel fit these criteria. 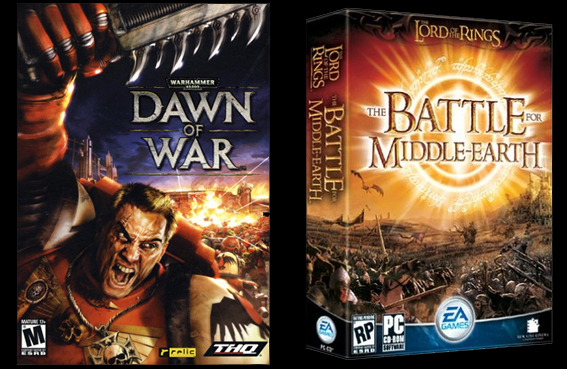 These examples are well-known games, so it is hard to not be influenced by what else I know about them! The epitome of “It does what it says on the tin”. This is a name that is descriptive of the premise, genre, a key game mechanic or the world in which it is set. Examples of this include Hitman (I know what a Hitman is, I’m somebody who assassinates people) and Football Manager (I will be a manager of a Football team). This is more a case of avoiding long-winded names. A compelling game name should be easy for people to deliver when speaking or writing about the game. Abbreviating titles is common for people to do, but can also be indicative of a title being too long. Examples of titles that are short and punchy are often in combination with other traits. The name Tomb Raider is snappy, yet also descriptive of what the player will be doing in the game (raiding tombs). People who are potentially interested in your game need to be able to find it easily. You don’t want to lose prospective fans by them not remembering how to type the name of your game into search engines or social media. Similarly, avoid anything too generic so that it can be confused with other existing media. Also an aspect usually combined with other traits. A good example is Star Wars, which conjures up an image of fighting in space yet is also very easy to google (of course this is a license and has a lot of releases with sub-titles). A counter point to the Star Wars example is that some people not interested in sci-fi have been known to confuse this with Star Trek (I know, right? ); however these people are probably not your primary target market anyway. Some titles are not immediately obvious and contain a degree of cleverness that is not too obscure and works well in combination with knowing a slight amount of detail about the game. This tends to be okay because it’s hard to know a games name without seeing at least a screenshot of it as well, so you are already influenced when looking at a name. This can often be used to great effect as it avoids names becoming too generic. Although descriptive, ‘Zombie Killer’ is a much less appealing title then ‘Dead Rising’, a title that makes you think “if the Dead are Rising that means Zombies”. As the most common game-based interaction with zombies is killing them, the name achieves a similar goal but in a much better way. 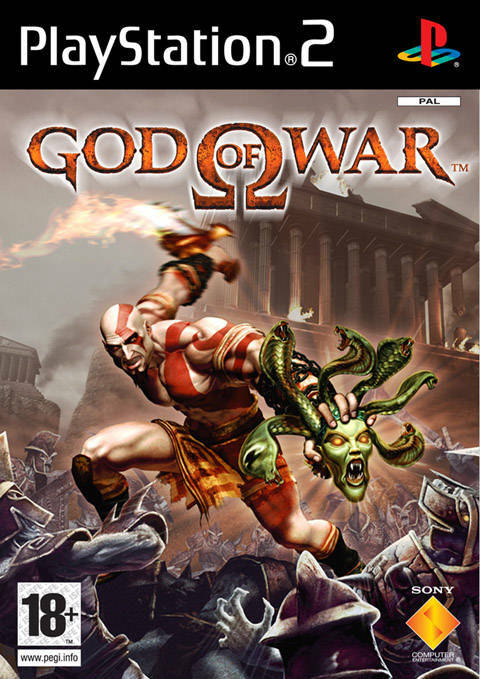 A name containing the word war tells the player there will be fighting. ‘God of War’ brings in thoughts of Greco-Roman times and mythology. – Fallout; Brings to mind Nuclear Fallout which with the context of the setting makes perfect sense. Also the word fallout can mean a result of actions, which is also a good way of making the player know there will be consequences from their decisions. – Grand Theft Auto; The term itself immediately makes people think of stealing cars (a common action in the game) and the combination of America and Breaking the Law (In the US the official name for the crime of stealing cars is Grand Theft Auto). Drilling down and analysing each word also brings meaning: Auto = Car (the game has a lot of cars), Theft = Stealing (you do a lot of stealing) and Grand = Big (the world is big). I doubt the name was analysed in that much detail when it was originally thought of, but it is still affirmation that it works on multiple levels. – Personal favourite Left 4 Dead; Putting the word “Dead” in the title of a game is a common way to conjure up Zombies. The number 4 is key, in that it is up to 4-player co-op, but when put all together and with some additional knowledge of the game, the name Left 4 Dead implies that being left behind is bad and it results in death, which is a key part of the gameplay. There are some games that have more unique names, ones that require more in-depth knowledge about the game for the player to truly understand the names meaning. When thinking about games with names like this, some prominent and critically acclaimed indie titles started to spring to mind (VVVVVV, for instance). These titles tend to have fewer clashes when you search for them online because of their unique name (although this particular example is tricky with remembering the exact number of V’s). Even if the name doesn’t immediately conjure up anything in particular it may well make people curious enough to investigate further. Once people have more knowledge of the game and how the spikes (or V’s) are the primary obstacle, the player then understands just how clever the name is and feels a nice pay-off. I believe this works especially well with Indie titles, because a dedicated fanbase is important in word-of-mouth recommendations; players who feel like they ‘get it’ and are ‘part of the club’ feel encouraged to be loyal to the brand and tell their friends. Despite sharing a name, I doubt people will mistake our video game with this board game. 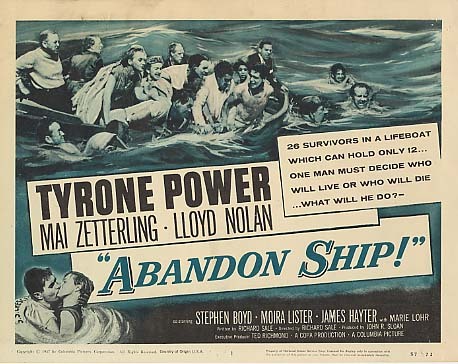 So how did I come up with the name Abandon Ship? Early in the project I created a diagram that laid out the core pillars of the game. The concept of “ship destruction is not the end” and the idea of being in a lifeboat or stranded was a prominent part of this. At the top of the diagram I left a blank heading which would ultimately be the games title. This process allowed the key elements of the game to be at the forefront of my mind; I’d ensured that the conditions were right for inspiration and sure enough, one day the name Abandon Ship popped into my head! While that process worked for me on that occasion, you will have the best idea of what gets the ideas flowing for you. – It contains the word ship, so people will think of some kind of vessel. When seeing accompanying material they will quickly understand it is Age of Sail type ships. – The entire phrase has an appropriate tonal association with danger or strife; the concept of “Abandon Ship!” is something that most people understand. I should seek out and watch this one day! Before I settled on the name I went through a few other steps to validate it. I tried variations of the name, including one ending with an exclamation mark. I liked this, because it was evocative of someone yelling the phrase as a command, as you would in a high pressure situation as being forced to abandon your ship. I veered away from it however, as it had echoes of Sid Meier’s Pirates! – I knew that people would look at the types of ships in our game, and combined with some of the visuals from exploration mode would assume that Pirates! was a big inspiration to us. Despite those commonalities, there is little we share in mechanics or tone; Abandon Ship is not a jaunty pirate’s tale. So that ruled out an exclamation mark. After that, it’s a case of doing some homework; are there other people out there using that name? Unfortunately, the more common the phrase the more likely it is someone is already using it. 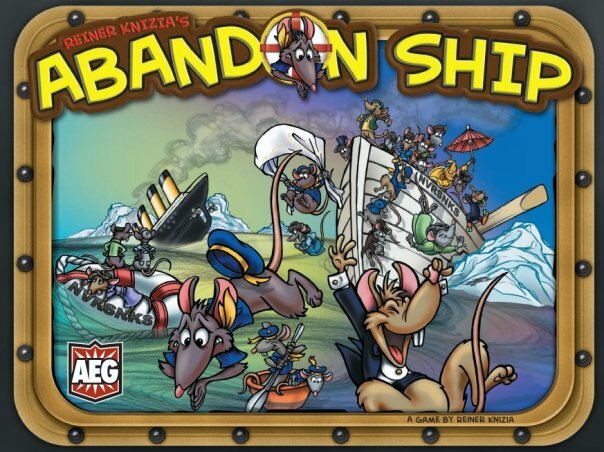 My research turned up some items of interest, such as a clothing company, an Album name, a 50’s film and a board game (about rats fleeing a sinking ship). If there are no direct clashes, and you are able to register appropriate domain names, social media handles and trademarks then you know the name is clear to use. 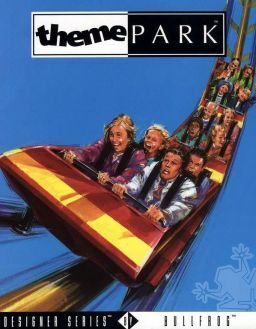 One final thing; you will never come up with the perfect name for your game (and I don’t claim to have done with Abandon Ship), but it’s important to find something that feels right for you, is iconic and recognisable for your brand. I’d love to know what game names you feel work and why? Let me know in the comments section below!